It's my pleasure to participate in the Close To My Heart Consultants' NEVERMORE Blog Hop. 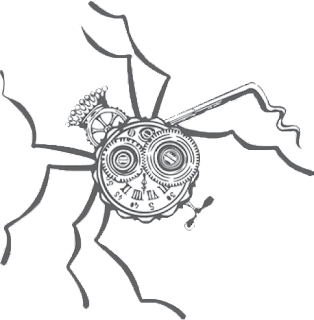 Nevermore is one of eight total papers being unveiled by CTMH today, September first. Six of the papers are in the Annual Inspirations Idea Book, and two special holiday papers -- Nevermore and White Pines -- are included in the all-new Holiday Expressions Idea Book. 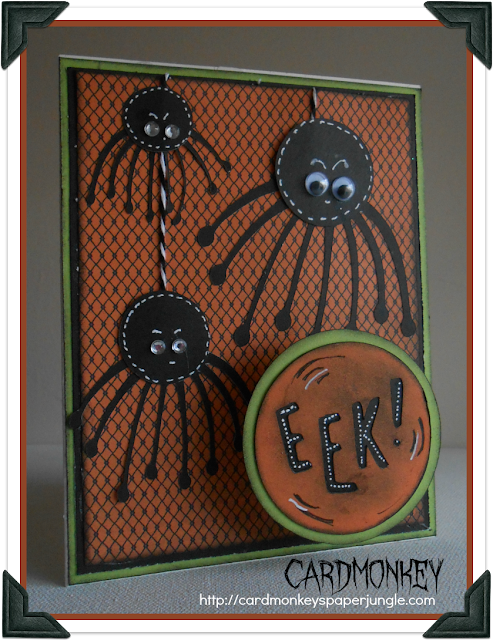 those comical spiders for the card? They're actually floral cuts (stamens) in the new Artistry Cricut cartridge, cut in black and turned on their heels, quite literally. A circle cut to size tops for their heads. I gave each arachnid a set of eyes -- two of the smaller have sparkly gems and the larger has watchful googly eyes. The EEK! sentiment -- also cut in the Artistry cartridge -- is inked and mounted on a CTMH Adhesive spring for a little more play. Don't miss the other ghoulish projects made especially for this hop by five other CTMH Consultants from throughout the country. Your next stop is with TONYA, whose project is sure to delight. UPDATE: We have been very privileged to have this card and our September Hop featured on the Facebook page of our Corporate Home Office of Close To My Heart. What an honor! But somehow during the month, Tonya's post got lost. So please skip ahead to Alexandria, using the link below -- and visit the others too with fantastic ways to use the Nevermore paper suite. I love how you used the stamens for the spider legs! Using Cricut cuts in different ways other than how they were originally intended is one of my favorite things ever! What a cute card! How fun to create using something I wouldn't thought of. Awesome card! I love how you designed a spider out of flower stamens! Super cute!